Friday January 4th 2013 marked the start of the recording process for Tristania’s seventh full length album, to be released through Napalm Records late May. The first part of the recording sessions (drums) will go ahead in Tanken Studio with engineer Fredrik Wallumrød, before the band move to another studio where they will join the producer of the album. More news about that to come. The first day went to working on finding the right microphones and equipment, while the recording started today. Tristania’s social media pages (Facebook and Twitter) will be updated regularly throughout the recording process. This entry was posted in News and tagged album 2013, new album, recording, studio, tristania. Bookmark the permalink. I just can’t wait for the next album anymore *____* I listenend to Rubicon to the point I almost couldn’t take it anymore XD Mary is such a talented singer, and the guys evolved soooo much from Illumination to Rubicon. I bet this next work will be even more outstanding! Go for it Tristania! Oh, and I hope to see you guys here in Brazil on the next tour, ‘kay ? You just made my day! I’ve loved every album so far, can’t wait for May. Tristania tem grandes fãs no Brasil, podiam se apresentar aqui! Por favor, vem para o Brasil…. amamos vocês…. 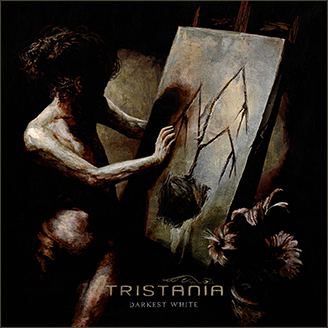 I admire the work that tristania is doing through time, but i would like to listen Anders´s vocal more time in songs, his gutural is very good, at least i think it.